﻿﻿My name is Kahea Kamahele and I am a Certified Essential Life Coach specializing in the areas of Academics, Admissions for College, Scholarships, Arts & Creativity, Health & Wellness, Personal Development, Time Management and Goal Setting. I have worked in the Community College School District since 2001 as the Scholarship Coordinator under the direction of Financial Aid and the College Foundation. I have a complete understanding of private and institutional scholarships as well as federally funded programs for aid. I also work in the Transfer Center with academic counselors that assist students with transferring to California Universities, as well as out of state and private universities. Some of the things I focus on are: helping you find and do the things you love the most. What is it that you like to do, what are you naturally good at, can you imagine waking up every day loving what you do? The tools provided will help you in any aspect of your life. What are you passionate about? If you are passionate about what you do you will never work a day in your life. For information on getting started, click here. I empower teens with the tools to find solutions to their own common issues such as stress over getting good grades in school, procrastination, time management, talking to teachers and parents, personal confidence, leadership and motivation. Tools make academic success possible. I help them to focus on the WHY of education and transitioning from high school to college. If any of these services are what you are looking for, call my appointment line (310- 951-8263) to set up an appointment. You can also leave a message with your name number so that I may call you back to answer any questions you may have about life coaching. What is an Essential Life Coach? ﻿ 1. Establishing a foundation by meeting both the ethical guidelines and professional standards. There are clearly defined distinctions between life coaching, consulting and psychotherapy and other support professions. 2. Working together with the client to design well-developed action plans which are "attainable, yet exciting". 3. Effective communication through active listening, asking powerful questions and support by getting to the heart of the situation through direct communication. An article in Public Management revealed a study where training alone was compared to life coaching combined with training. The study showed that training alone increased productivity by 22.4% while training combined with weekly life coaching increased productivity by 88%. Essential life coaches focus on the following which makes the previous statement true. 1) Being - "Identifying and maintaining an awareness of being is a powerful concept" (J. Williams) Who do you want to be and where do you want to go? What steps do you need to take to get there? 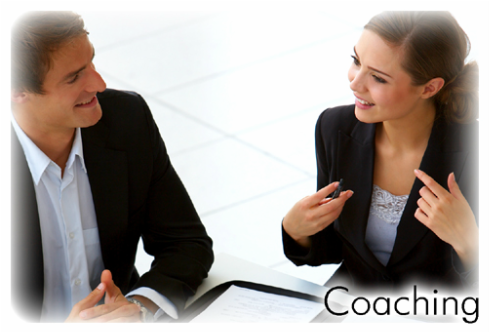 By asking powerful questions, a coach can help to identify areas of concern and offer valuable insight to the client. 2) Learning - A client's learning is the bridge between "being" and taking "action". Learning about yourself and increasing self-awareness is the key to self-discovery and gaining emotional intelligence. Emotional intelligence is important to both personal and professional success.